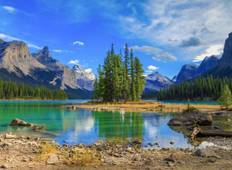 Find a Hiking & Trekking trip that explores Jasper National Park. There are 13 tours to choose from, that range in length from 6 days up to 210 days. 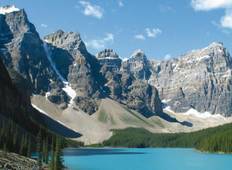 You will visit outstanding places like Jasper National Park and Lake Louise! "Fantastic! Anne and Sharon are great"
"The 2 week camping tour of BC and Alberta was absolutely amazing. Marco was a fantastic..."
"This trip is excellent if you like nature and walking. Well organized small group..."
"Well organized excellent equipment provided. Schedule was good and varied the camp..."
"The scenic portion was excellent. Mike Brown was excellent. The seating in the van..."
"Great fun with easy to medium-difficulty hikes. Majestic mountains, nice lakes (a..."
"Can't say enough enough about this company. This was the second tour I have done..."